Some of Martin’s victims, all of whom are female, have come forward, but detectives believe there may be others. Martin portrayed himself as a “life coach” who practiced “alternative medical systems” and billed himself as a spiritual advisor. According to his victims, he would first meditate with them and then fondle and penetrate them with his fingers against their will. 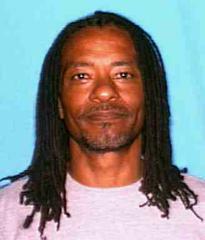 Several of the victims are members of a church in the 5700 block of Buckingham Parkway in Culver City where Martin also attended meetings. The suspect is described as a Black male with dreadlocks and brown eyes. He stands about 6 feet tall and weighs around 200 pounds. He has been known to drive a white 2004 Infiniti FX35 SUV, license plate OSIRIS9. Martin was arrested without incident near his home and is being held at the downtown central jail. Anyone with information regarding these assaults, especially those who may have been victims, is urged to contact LAPD Operations West Bureau, Sexual Assault Detail detectives at (213) 473-0438. During non-business hours or on weekends, calls may be directed to 1-877-LAPD-24-7. Anyone wishing to remain anonymous may call Crimestoppers at1-800-222-TIPS (800-222-8477). Tipsters may also contact Crimestoppers by texting to phone number 274637 (C-R-I-M-E-S on most keypads) using a cell phone. All text messages should begin with the letters “LAPD.” Tipsters can also go to LAPDOnline.org, click on "webtips" and follow the prompts.